People often think that there are shortcuts to skin whitening — you purchase a whitening cream, apply it for a week, and boom — you have white skin now. That is not only wrong but also a bad effect of ridiculous product marketing. So, to take my research a step forward and to try out the latest services available in the market, I thought I would give Kaya Skin Clinic’s Black Peel Treatment for Skin service. The following is my complete review of my week-long experience, along with observations that I made of Kaya’s hospitality service and what-not. I hope this will help you consider Kaya and one of its best-selling services at your nearest clinic. Kaya’s Acne peels are specially designed to prevent pimples and give you a flawlessly smooth complexion. 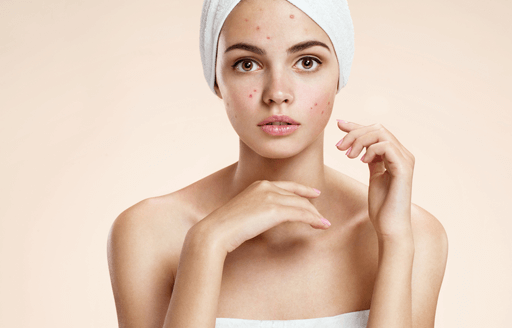 One of the unique peels offered at Kaya is Tri-Active Acne Clear System with Black Peel. 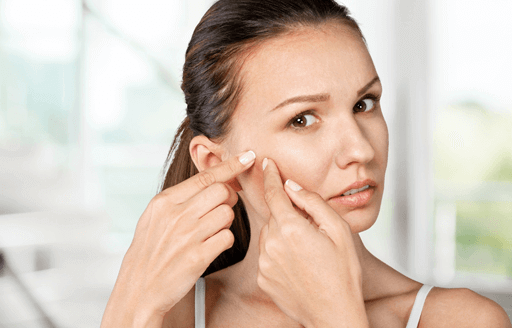 This peel is a natural, organic, acetic acid combination peel that treats acne and other concerns related to it. It is the peel’s anti-inflammatory and anti-bacterial property that helps subside the redness quicker compared to normal peels. In addition to that, the peel contains Potassium Iodide that helps in healing wound faster, while Jasmonic peel ensures exfoliation and skin regeneration. This in-clinic treatment comes with homecare products and medicines. Additionally, advice on diet and correct skincare is given so that you maintain and continue to get a clear and beautiful skin. I went for the Kaya Skin Clinic Black Peel Treatment at a clinic close to my house in Indiranagar, Bangalore. 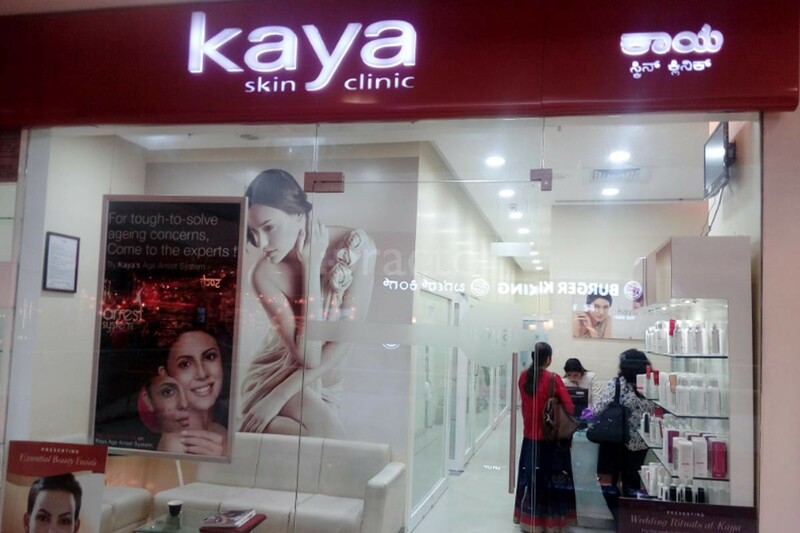 The Kaya clinic is located at 80 feet Road, 12th Main Road, HAL 2nd Stage, Indiranagar, Bengaluru, Karnataka 560008 and is just opposite to the popular Khomari restaurant. You can even have a cool mojito after you are done with your treatment. Anyways, I had taken an appointment so I didn’t have to wait for long. The receptionist asked me to go inside, and I was ushered in by a well-dressed nurse (I think). I was given a tasty apple drink by the nurse, and then she began her work. The treatment, which took about 1 hour to finish, consisted of cleaning, cleansing, toning , exfoliating, massaging (3x), and then finally going to the actual black gel. 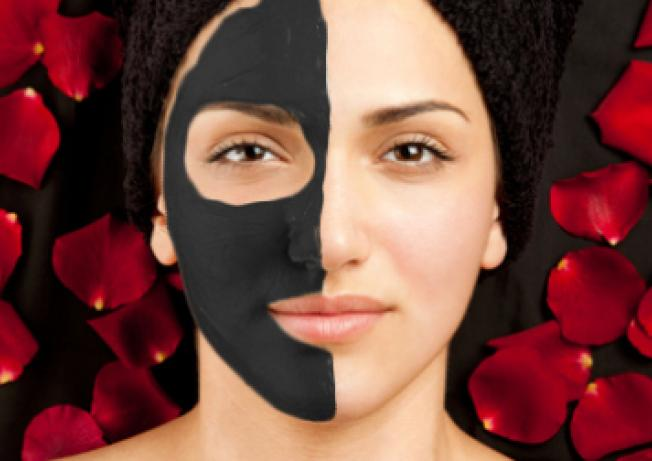 As the name suggests, the black peel treatment is where they apply a semi-solid mixture to your face (you can ask the nurse to cover the neck, too if you are a bride-to-be). The nurse did mention that the peel mixture contains Jasmonic extracts which helps in exfoliation and skin regeneration — which seemed to be right as I would experience it in the following weeks. I had decided to take the black peel treatment because I wanted to get rid of a patch of acne on the right side of my face. Although it had been there for a few years, since I had started working now, I thought why not indulge in improving my look as I was in the marketing/PR business. Anyhow, after the first session, the nurse asked me to avoid some things (which I won’t list here because it depends on the person’s skin and health quotients). She further said that after a week, there will be a second session preceded by a doctor’s consultation. This is when I knew that my money was going to be of worth because one hour into treatment and no mention of a doctor or a dermatologist? I hoped that Kaya knew their thing and went back home without visiting the Khomari restaurant. In the session that followed after 10 days, I was given a detailed study of my skin type and other characteristics and what all practices would further aid in my skin’s upkeep. After the consultation (the doctor was very helpful), the second session began — the same way the first one happened. The nurse now turned into my friend and kept me engaged with gossip in the beauty and salon world. It was more fun than my first visit. Overall, the treatment was very effective. Although it all took time to set in and to see the effects, I was really happy with the service I received. The patch was not fully removed, as anyone can predict, the color difference was no more there. The acne patch was no more a defect on my face, but just a mark that looks natural and not intrusive. Kaya is no wonder known as one of the best in business. I would definitely recommend the Black Peel treatment because although I went in with low expectations, I came out with a glowing face. I would suggest you to take an appointment before you go in, and provide all details you can while you do. You can also check out other Kaya Skin Clinic Bangalore reviews on other websites and then decide. All the best, you pretty ladies!